AI is not going to be just a “nice to have” tool for your business — it’s going to be a necessary one. It will be required for staying ahead of the competition. It enhances business intelligence through predictive analytics. It provides better analysis of big data. Moreover, it is becoming an integral force in protecting businesses against fraud. Any CFO who wants to remain successful, or perhaps gain/keep “superhero” status, knows this stuff is critical. CFOs are presented with tons of decisions every day. Professional judgment calls are a lot easier when you have the data to back up those decisions. The combined power of AI financial integration and Intacct helps CFOs get the information they need faster and more accurately than ever — making for quick, yet wise choices. The seamless integration of Mindbridge AI-Auditor for Intacct with Intacct will improve audit capabilities for the monthly, quarterly and yearly close. It increases the speed and accuracy of every audit by removing manual processes, streamlining time-consuming activities, and quickly identifying potential risks through anomaly detection. Even better, it meets and exceeds standards including SAS 99 Fraud in a Financial Statement Audit and IAS 240 / CAS 240, all of which improves confidence in the accuracy of the financials. Last, but certainly not least, there are numerous efficiencies that the use of AI brings into play. For example, a busy CFO will no longer have to deal with as much of the operations side of the business. 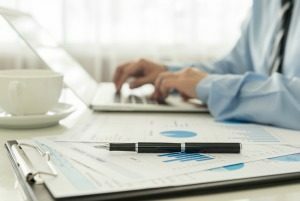 Today, much of a CFO’s work is focused on ensuring that past financials are accurate. But AI will now help to automate much of that operational work. It paves the way for CFOs to concentrate more on the future by allowing them to use their expertise more effectively. They’ll have the time and the tools required to perform more strategic, high-value work — much to the delight of owners, investors and other relevant stakeholders in the business. Intrigued about AI? You should be. Even if your curiosity is mildly piqued, give us a shout to learn more. Our job is to provide the absolute best financial software for small to mid-sized businesses. If you don’t feel your current accounting solution is up to par, give us a call today.